According to the Houston Business Journal on March 8th, the City of Houston will expand its RecycleBank program to include 54,000 more containers. This is great news and a good start. I believe the recycling in Houston and the surrounding areas is woefully inadequate and is a combination of a lack of resources and apathy. I believe the apathy could be thwarted by availing more resources and a “pay you to recycle” program that will start the process. If people are willing to recycle for a monetary gain and it is in place for years to come, I believe people will be less apathetic in the future to recycle even without a monetary reward. It is really a matter of getting people interested and then sustaining the process through education, publicity, and plenty of resources to make it convenient. Landfills in Houston should be modified to recycle as well. I remember in California that a landfill near my house was setup to dump anything. 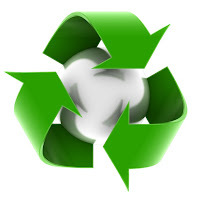 In the last 10 years, it has been modified to separate general waste, green waste, tires, and appliances. Even better, they burn the green waste for energy. That is a definition of sustainability in case you were wondering. I hope to see Houston take the lead in this endeavor in the future. The people and nature will thank you.